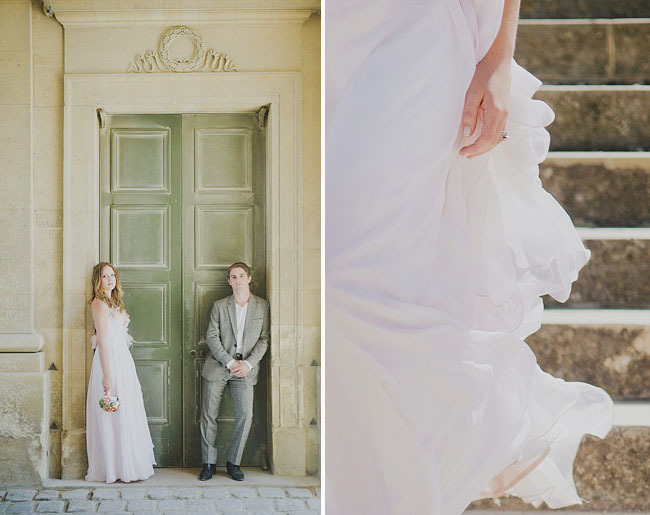 Always mesmerized by the elegance, charm, and seduction of France, Amanda + Chase decided it was the perfect place to get married – with their ceremony taking place at the stunning Palace De Versailles. 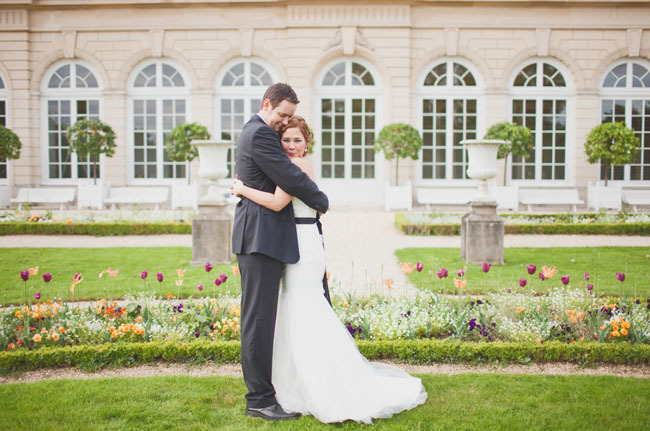 It was a dream come true for the couple to be able to have their ceremony in the gorgeous Versailles Gardens. Once they arrived at the gardens, they knew that when they saw the right spot to recite their vows that they’d both just know. Turns out that spot was on Lake Versailles in a rowboat. How romantic!! 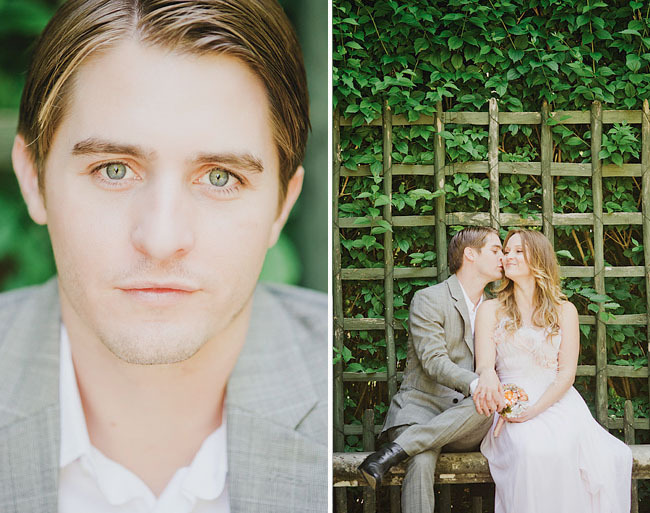 Thanks so much to Kim Miller Photographs for the gorgeous photos and congrats to Amanda + Chase! 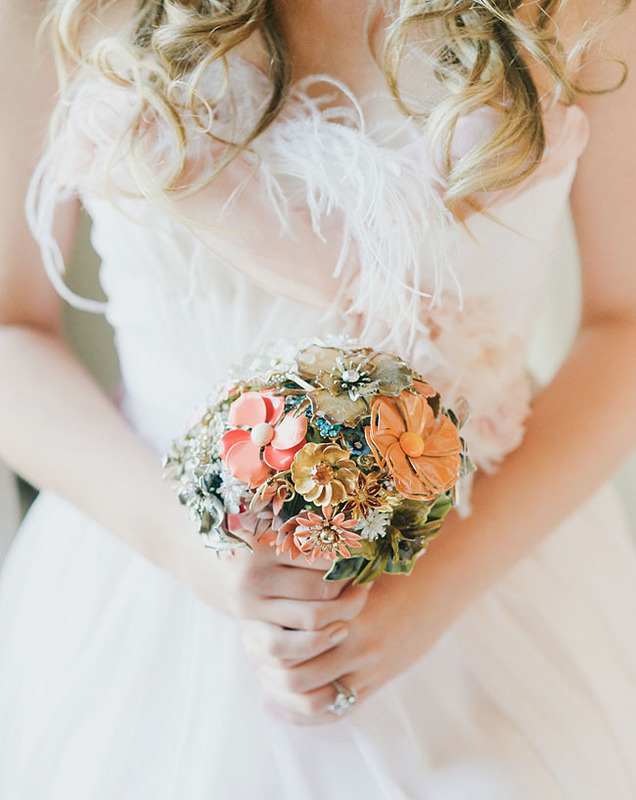 Isn’t her brooch bouquet so pretty! She used this tutorial to make it herself. I loved Sofia Coppola’s film “Marie Antoinette” especially the characters and era. I was completely fascinated by the colors, textures, costume design, décor, and overall brilliance in the depiction in the film. 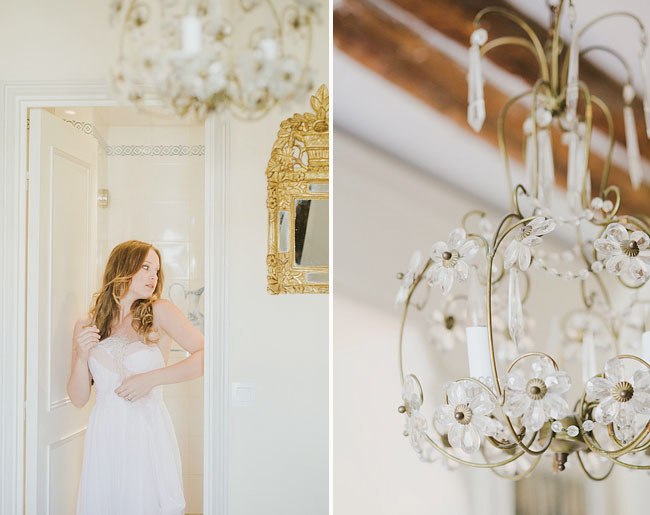 It was the true inspiration for my dress (by Claire LaFaye) and our wedding location. It’s so hard to say my favorite moment of the day. The experience in and of it self was remarkable. Traveling by train and metro in our wedding garb throughout the day was so much fun. But, my favorite moments were actually that people from all different countries, all speaking different languages, and of all ages noticed that we were in our wedding garb and had gotten married and were so affectionate and so jubilant at the thought of us becoming husband and wife. We were continually joyously congratulated by men, women, and families from all over the world throughout the entire day. Those moments were so beautiful and precious. 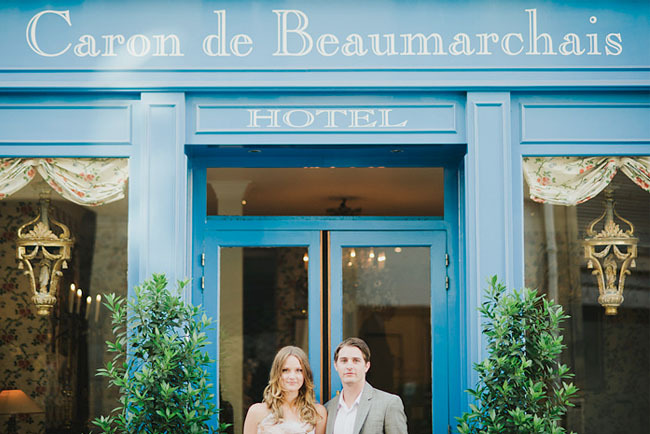 Both my husband and I would recommend hands down that you do a destination wedding. It is so worth it! It’s truly what getting married is about. It’s all about each other. It’s your union and your start together as a couple. 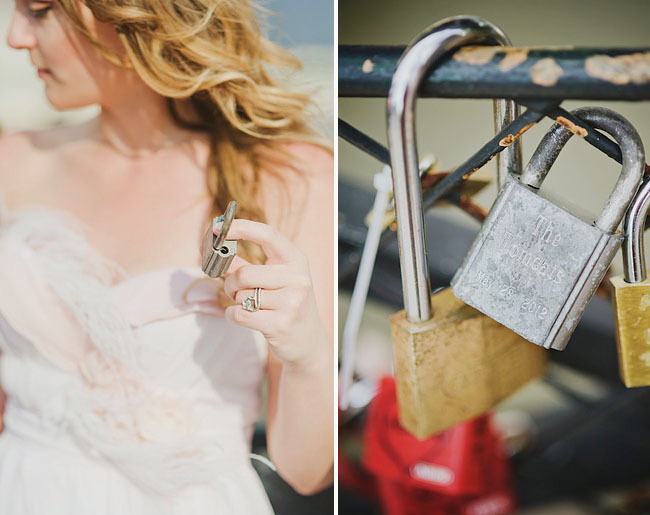 Having a destination wedding is obviously romantic but also was such an intimate thing for both you and your new spouse to share. Spending a wedding budget on a three week Wedding-Moon as opposed to just one day is so worth it. The attendees on our wedding day were our photographers. Prior to leaving we had a huge bride and groom weekend with family and friends and to follow Bachelor and Bachelorette parties and now that were back we’ve hosting two houseboat weekends for all our college friends and out of town friends. For us it was the best of both worlds being able to have so much quality time with friends and family instead of only 4 hours at a reception. Seriously – try and give it some thought. It’s worth the shot. I like the idea of destination wedding. Wow, …. How romantic!!! Such a nice couple you are…..
i would love to see more weddings like this since i always thought it would be the best option for me, but didn’t know for sure. completely sold now. Chateau Versailles is such a fantastic tranquil place. It’s technically outside Paris though :) Love the idea. Versailles is actually a suburb of Paris. most amazing. thank you for sharing. 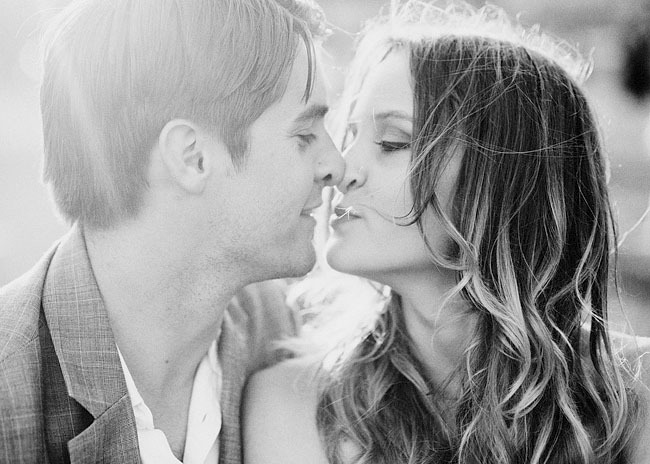 Destination Weddings are all about the couple and their love, I don’t think anyone has ever regretted having had one. I didn’t! Congrats on your recent nuptials! 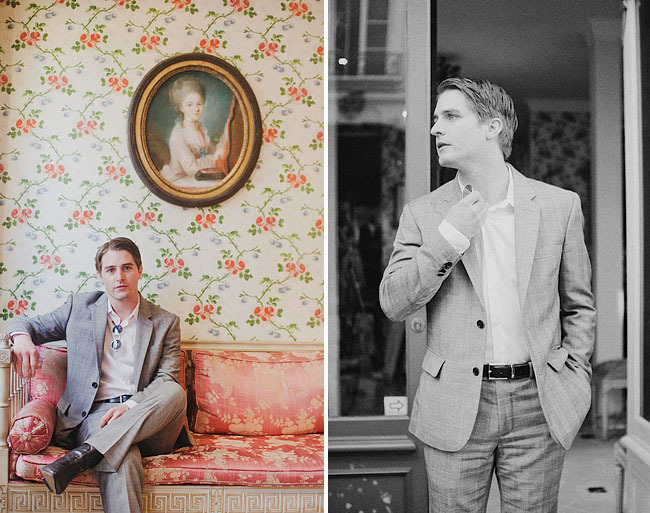 I am completely blown away by your elopement and can’t think of a better place to marry than Versailles! Did you hire a planner? If so, whom? Was it difficult to get access to marrying at the gardens? Thanks in advance your insight! Thank you!! It really was a wonderful day. Sorry to have not responded sooner. I did not hire a planner. I just did a lot of research and asked friends who had traveled there or who had lived there previously. What a beautiful day!! We would like to do something similar….Your photos are by far the best I’ve seen…who was your photographer?? Your pictures are beautiful, I would very much like to do something similar to what you did but I’m very budget constrained. 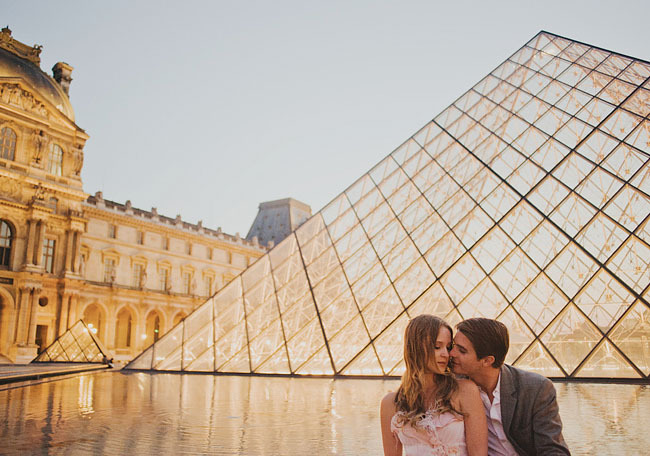 Could you tell me how much you spent on the wedding itself (photographer, officiant, Versailles permit?) so that I can have an idea of how much something like this would be in Paris. Thank you so much. Going away, just you and your spouse, and entering into the intimate union of marriage is so beautiful. I highly recommend it. 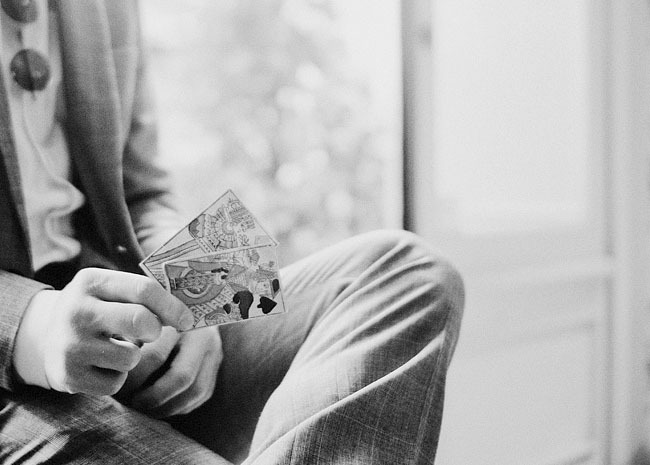 In our case, we chose an elopement for that reason… not because we trying to be ‘budget efficient’. Paris is among the most expensive cities in the world. 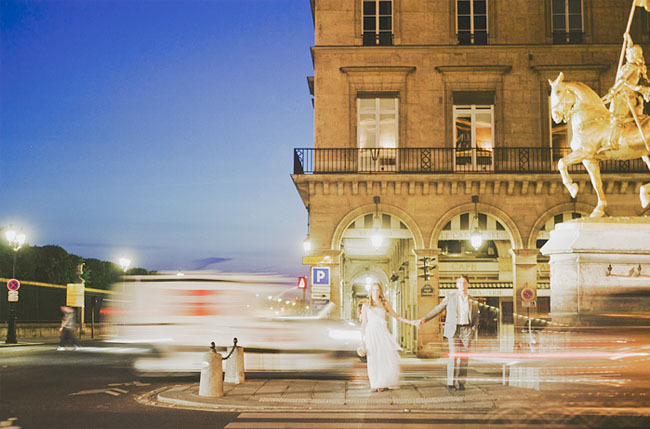 After getting married in Versailles we ventured through Paris, Barcelona, the South of France and back to Paris for three weeks as the honeymoon portion of our, as I like to call it, “Weddingmoon”. 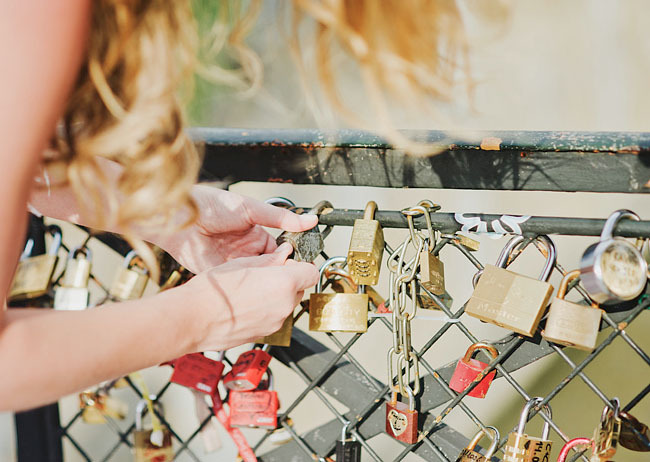 We chose to use our ‘wedding budget’ for our own adventures, experiences, and memories during our honeymoon instead of throwing an enormous and elaborate wedding in the states that only lasts one day. We cared a great deal about our decision to enter into a union with one another rather than putting on a lavish production for others. Granted it’s not for everyone, but it was perfect for us. You can definitely do something similar on a conservative budget as you mentioned. But, you have to take into account the cost of your dress, both of your flights, his suit, hotel accommodations once you arrive, metro passes, food, entertainment, photographers… also whether or not you want family/friends there and if your footing their bill. As you can tell it all adds up. I recommend really communicating with your potential photographers in terms of clarifying what exactly it is that you want. Be sure to get it in writing as well. 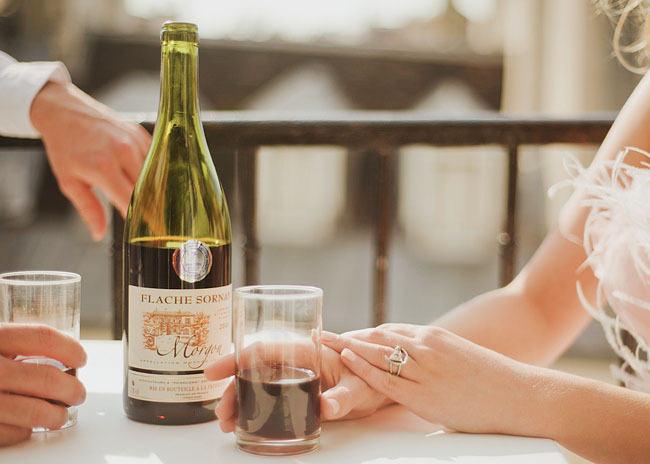 Once you’ve decided the location/country that you want to be married in… research what their laws are interms of what they require for a marriage license to hold up in their countries courts as well as your own. Talk to your local court house about where your planning on getting and how you can go about it so that you’re legally married in your state as well as the country you chose. There was no permit required at Versailles. 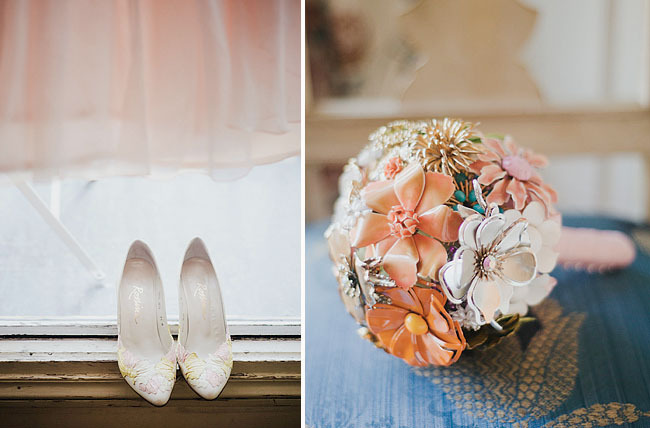 Your wedding looks so beautiful and is such an inspiration for mine. 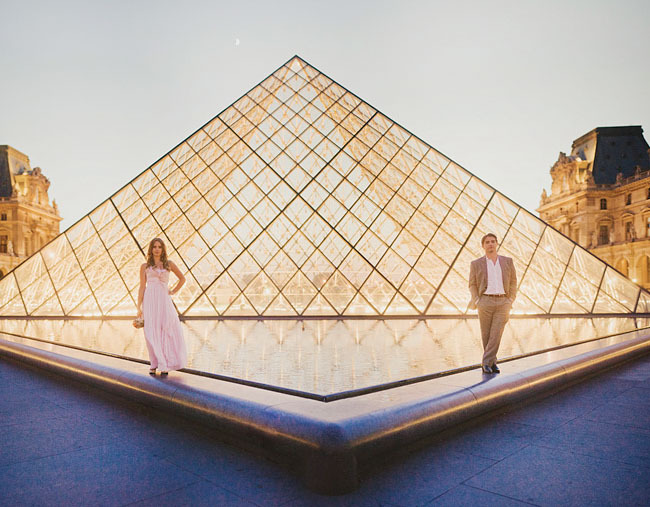 My fiance and I are planning a similar wedding in Versailles – photos the entire day at the Palace and then into Paris at some of the monuments. We are struggling with one aspect of the wedding though – the officiant! Do you mind passing along who you used? It would be much appreciated!! I have been obsessed with your pictures for the past few months and finally decided to take the leap and elope myself! I was wondering what hotel you stayed at? It made a beautiful backdrop for your “getting ready” pictures. I don’t know if it’s too late to ask questions but we are planning to elope and go to Paris for our honeymoon, but this would be great as well. I was wondering if you found a photographer from the U.S or one in Paris? And also in the video it didn’t seem like you had an officiant, did you just read vows and do the technical things when you got back? Do it!! Paris is unbelievable. The photographer I found is based out of Portland, OR. She’s great. Her husband shot the video. 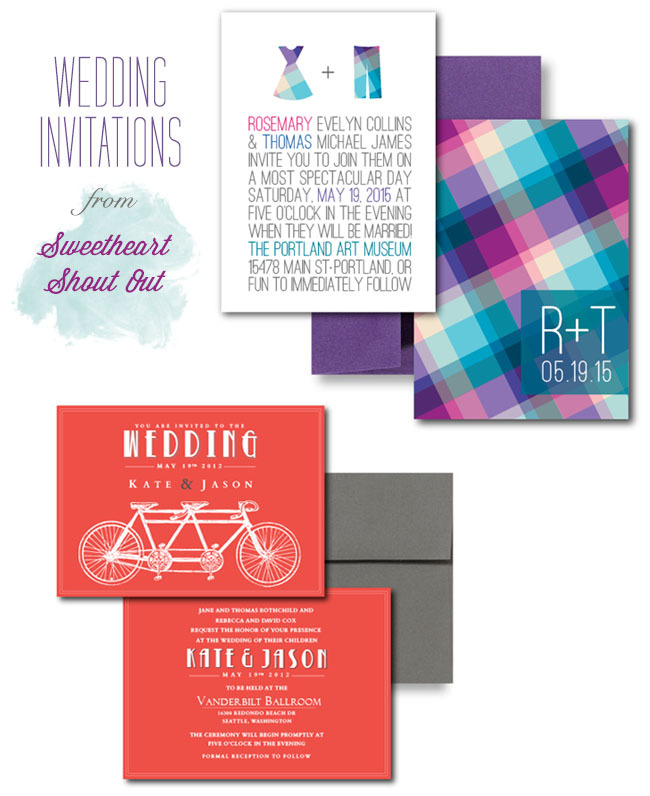 ….and vice versa for your groom. 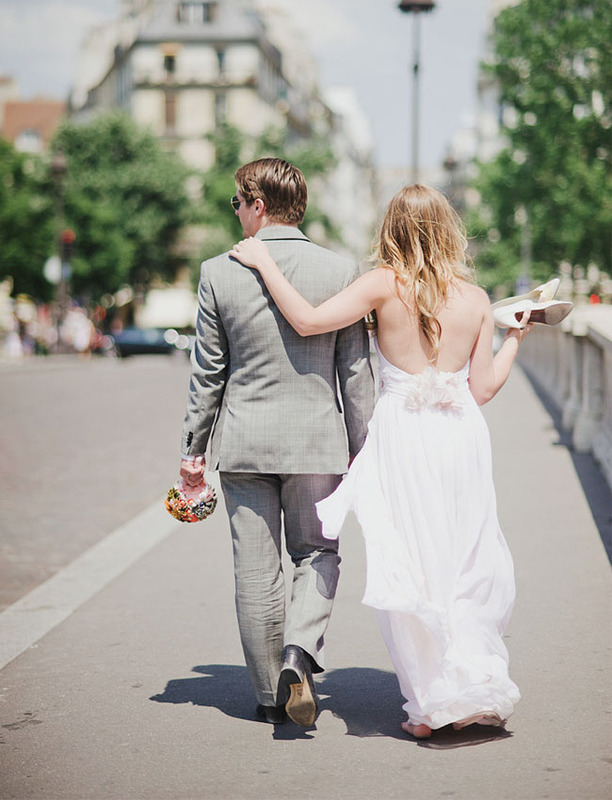 You sign papers and then fly away to wherever your elopement is. So, for me (and you if you do this way) I wasn’t legally married until my husband and I were both in Versailles, Paris on May 28th 2012 after reading our vows. Which also meant that after reading our vows by law of the state of California, we were then and only then husband and wife. Hi there. 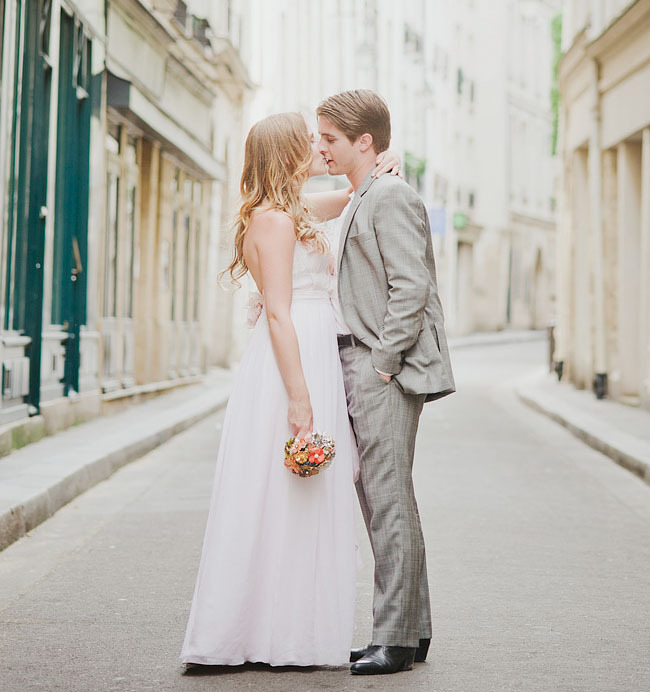 I am going to Paris this month to get married and love the shot of you and your husband with the tall trees. Could you please let me know where it is? I would really appreciate it! Thank you for sharing, I love your pictures! 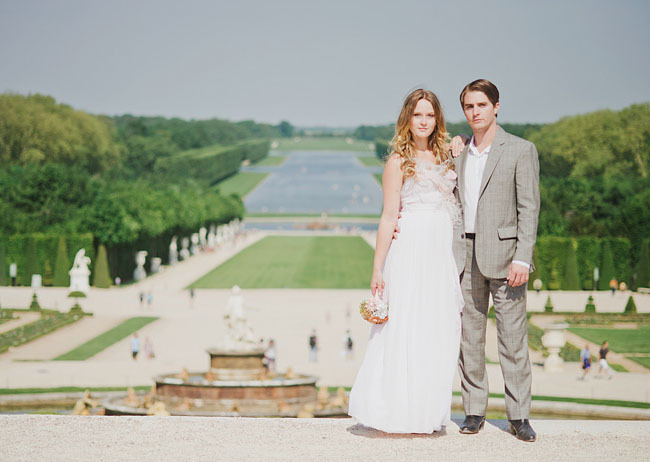 I have been dreaming of having our wedding at Versailles! I am having the hardest time trying to get information on if there are any regulations there. 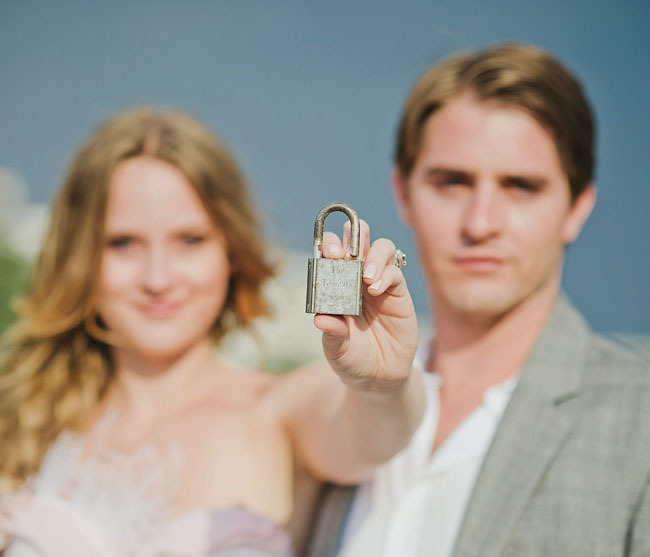 Did you get any special permissions ahead of time to do your ceremony there? I assume you didn’t need to since it was just you two, we are hoping to have a few family members with us and want to make sure it isn’t frowned upon! Any other advise you can give me? Thank you so much !! Thank you!! Your so sweet. You don’t need any special permission. I would say go on a Monday and early morn like 9am. Monday the Palace is closed so there are far less crows. But, the garden are always open. This way you don’t have to deal with a ton of randoms in your photos. There will still be people in your photos but less is always nice. :) Depending on how many family members your thinking, I don’t see it being an issue or frowned upon. After all, it is a public garden. If you’re thinking close to 100… I don’t know how’d that go over. Maybe it’ll be fine… but I would invite far less such as close family members. This is very helpful! We’re working on planning it now! Thank you! 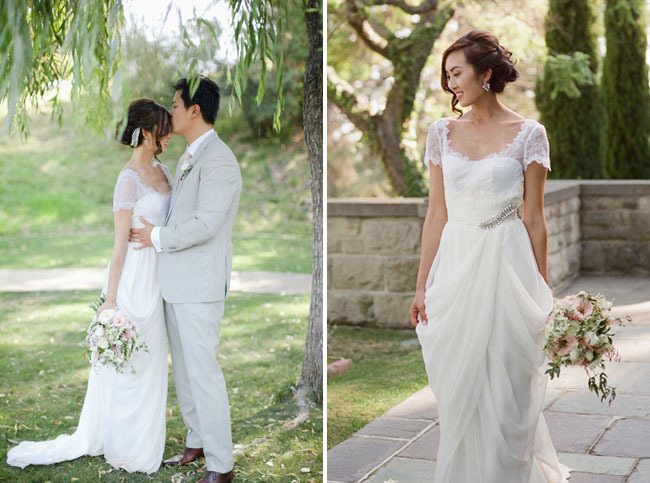 The photos are gorgeous! Could you share with me on whether you had to apply for permit to have the wedding photos taken in the gardens? Approximately how long did the request take and if there is a fee? 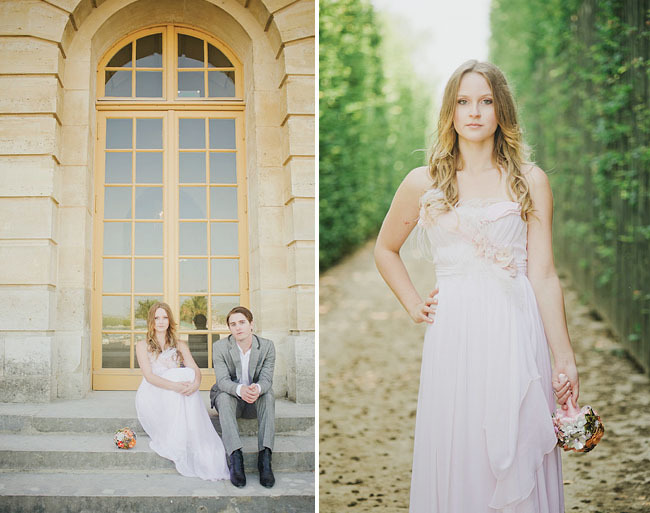 Palace De Versailles is a fabulous venue for a romantic elopement. Your wedding looks so unusual, it is great you spent this day in your own way. And the bouquet is very lovely.